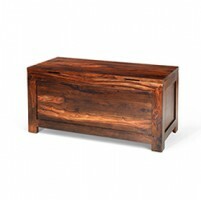 You can't beat the versatility of a beautiful blanket box. 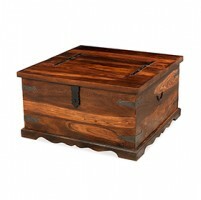 You can fill them with spare throws, cushions or blankets in a bedroom. 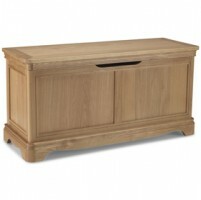 You can use them as toy boxes in children's bedrooms. 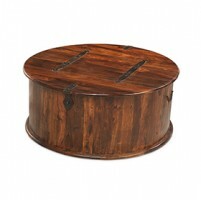 You can even use one as an alternative to a coffee table in your living room. 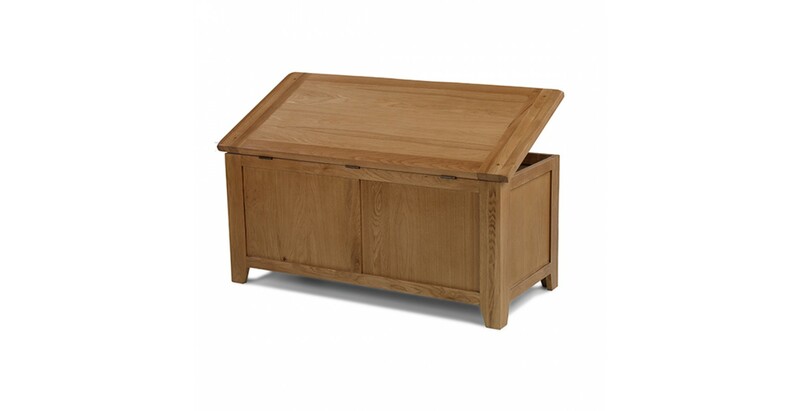 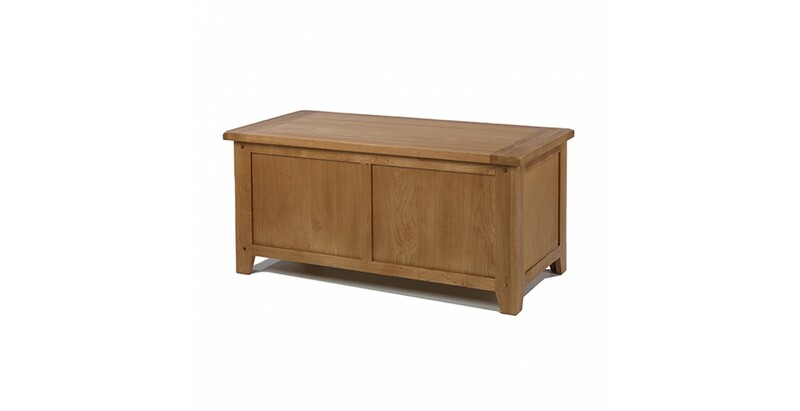 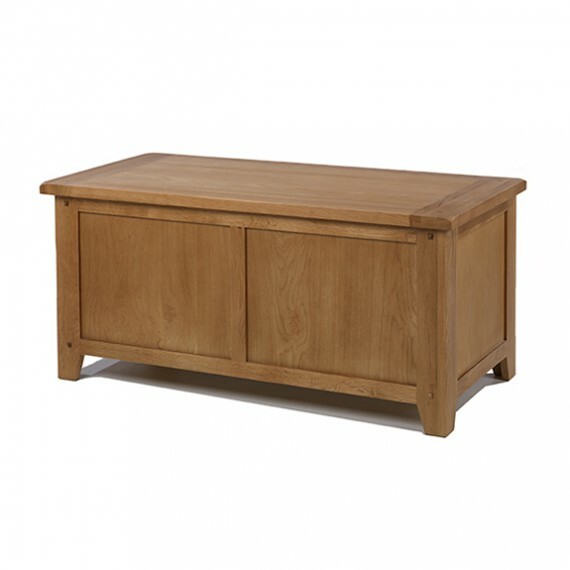 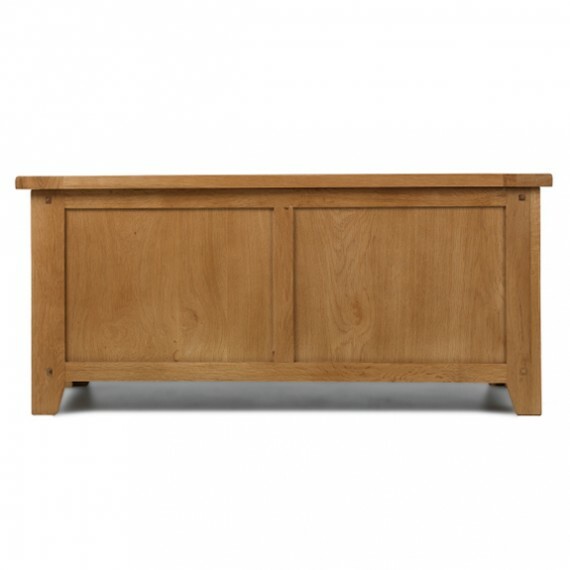 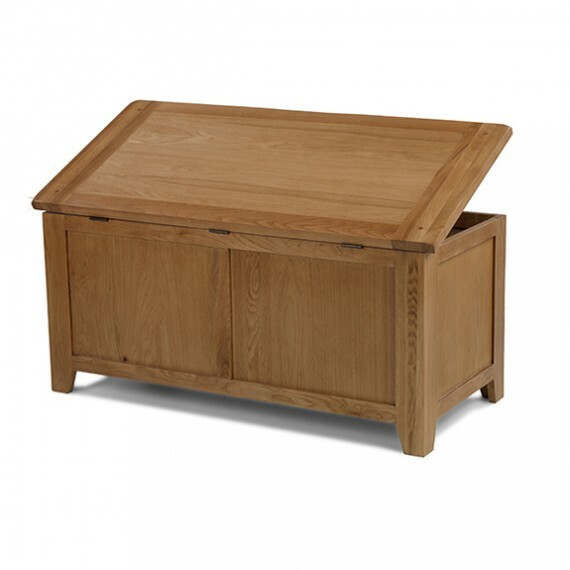 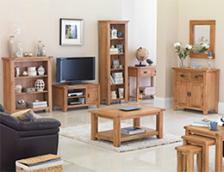 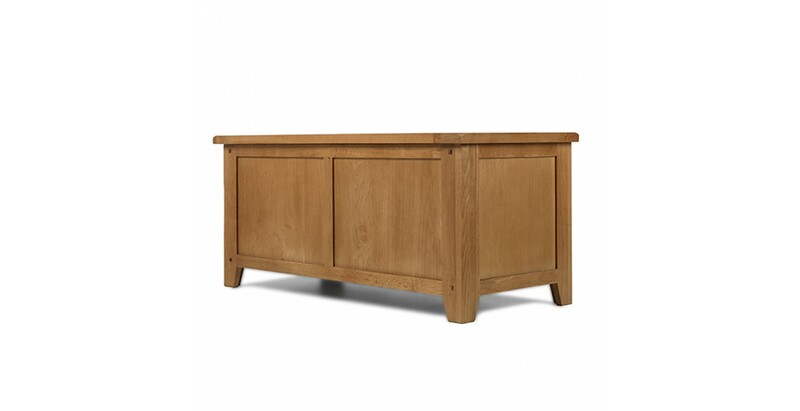 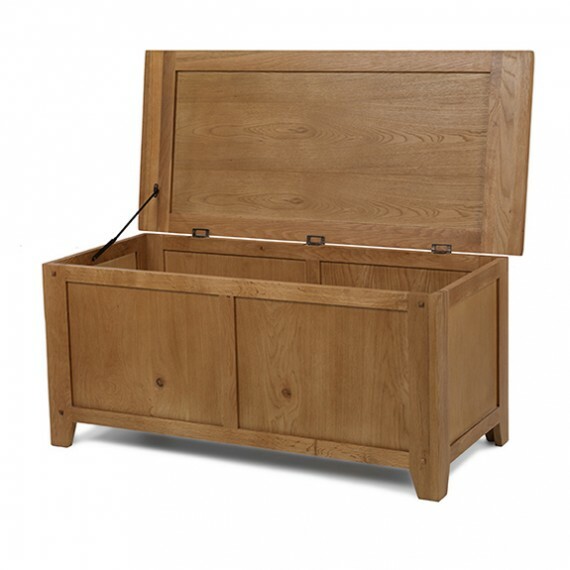 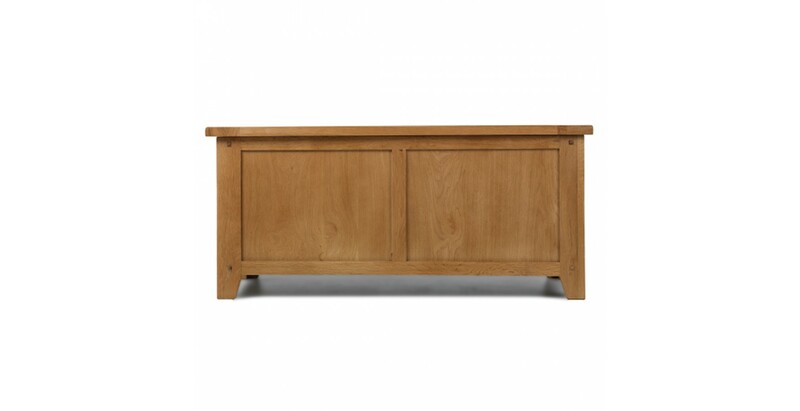 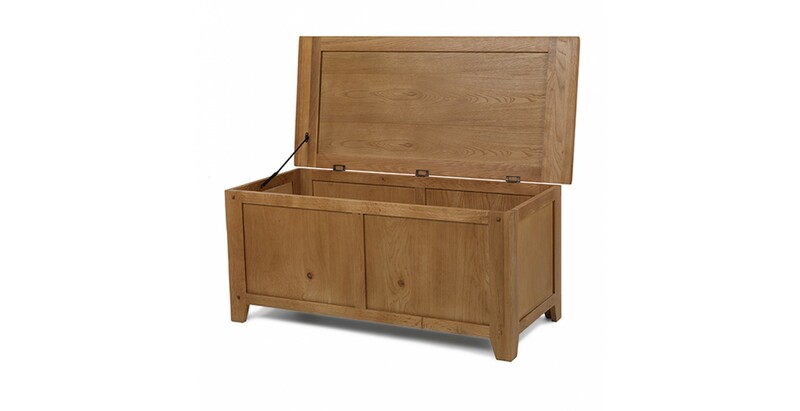 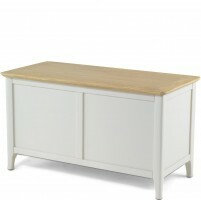 This one from our homely Rustic Oak range is up to any of those jobs. 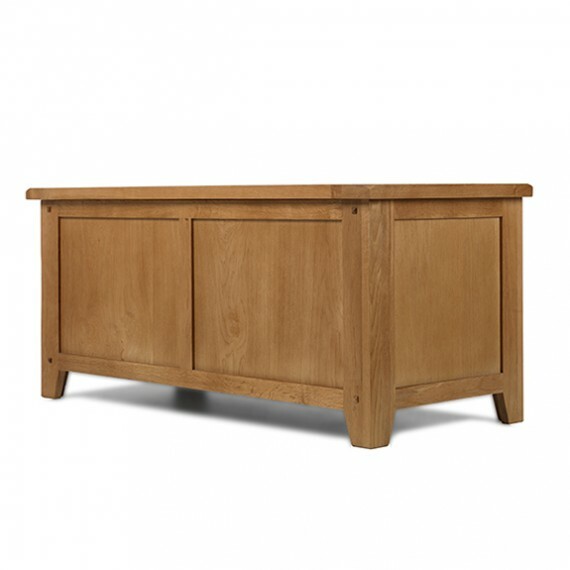 Nice and sturdy, it's been made from thick pieces of oak to stand the test of time and treated to a natural lacquer to highlight its distinct grain and characterful knots.